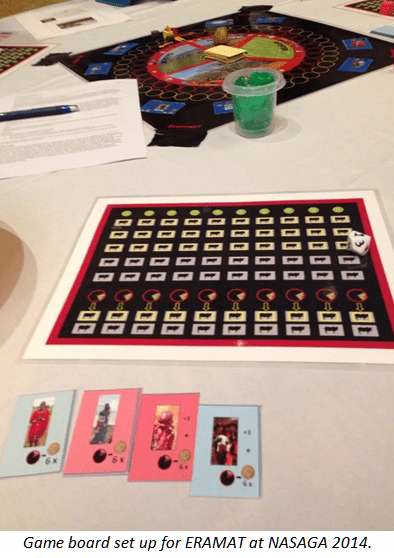 One highlight of the conference for me was playing the culturally-driven simulation board game ERAMAT, developed in collaboration with Maasai pastoralists in Kenya by Jacob Loorimirim Mayiani, Michael Deaton, Jennifer Coffman, and Alexandra Hickling. We were all very impressed and immersed in the community decision-making of the game, and the team was awarded the NASAGA Rising Star. You can learn more about the game here: http://www.systemdynamics.org/conferences/2013/proceed/papers/P1280…).